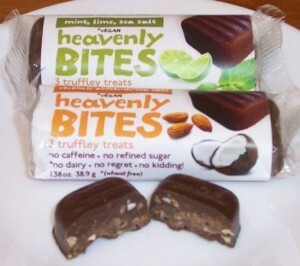 With a name like Heavenly Bites, you automatically expect that the sweet little sensation youâ€™re about to dive into is chock full of divine inspiration. Given the fact that this 100% natural confection, produced by Boulder, Coloradoâ€™s Oh Yes You Candy!, is made with carob rather than chocolate, I immediately knew that an absolute miracle would have to occur for me to like it. We’ve mentioned NewTree Chocolate before, the Belgian chocolate with the healthy twist. 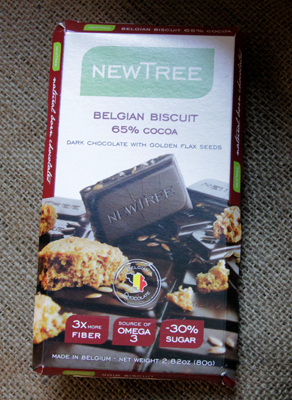 I picked this NewTree Belgian Biscuit 65% Cocoa dark chocolate bar and bought it before I even noticed its impressive list of health benefits. This particular bar has flax seeds (touted as a source of Omega 3), three times more fiber than similar chocolate bars, and 30% less sugar. I just bought it because it had a picture of cookies on the front. So it’s healthy. But how does it taste? It’s almost time for Halloween again and that means yummy treats for everyone. The folks at the National Confectioners’ Association were kind enough to send me some treats to try, so I’m sharing them with you. I figured we’d start with the healthier treats, in case any of you want to add something healthy to your Halloween splurge. 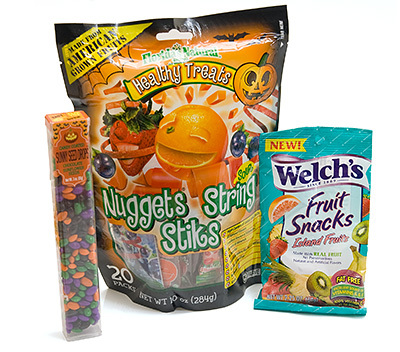 First up,the bag of Florida Natural Au’Some Fruit Healthy Treats, which contain a mix of sour strings, nuggets, and stiks. I actually enjoy them all. All three styles come in orange, strawberry, and grape flavors and I like the strawberry the best. Since I love sour stuff, I particularly enjoy the sour strings, although I should warn you that they aren’t terribly sour. I was surprised at how much I enjoyed the stiks – they are really tangy and nicely chewy without sticking to your teeth. The nuggets are fun, too, but I thought the orange flavor, in particular, could have a wee bit of vitamin taste to it. 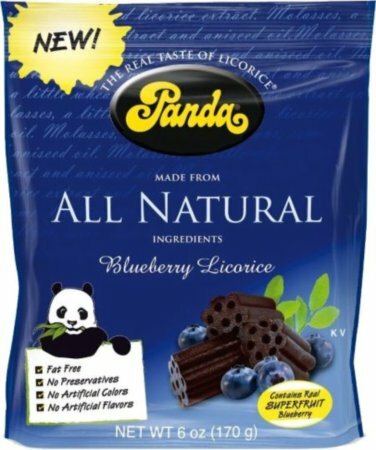 Given that the nuggets and strings are only 50 calories a pack, and the sticks are only 35, these are a guilt-free treat, surprisingly tasty and satisfying. 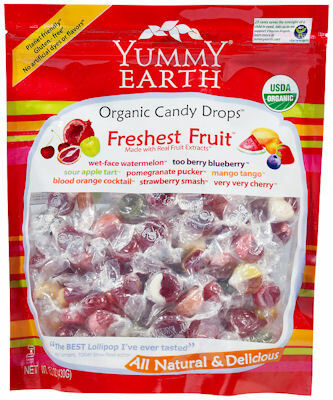 As a bonus, each candy has vitamin C and other vitamins and minerals, so these actually have a health benefit! Since these come in nifty little packets, you can hand them out to your Trick-or-Treaters, or take ‘em to work yourself.